It's been awhile since a nail polish has captured my heart and I really wasn't expecting to find love on a clearance site. But you know what they say, love comes to those who aren't looking for it. Okay I might have made that up a little and tweaked the saying but that is what happened here! Last week I featured some dark red fall appropriate nails but the stains they left behind also put a stain on my heart for these colors. I had the full intention of doing this synthetic grape juice purple on my nails until I spotted this guy who came to me with free two day shipping and it was just meant to be! A few apologies first, I did a horrible clean up job on my nails (since this was such a light and sheer color) so you do see traces of it. I'm still having Photoshop issues (someone HELP!) so again these are uploaded directly and I can't really tell these details off my phone. Also my right hand thumb had some serious issues with my hair hence why it looks a little wonky, so just ignore that one and focus on all my other prettily shaped nails! /rambling over. 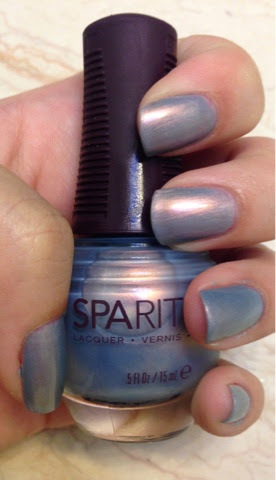 This nail polish is Spa Ritual in It's Raining Men. This is my first Spa Ritual polish and I'm really impressed with it! The formulation was a dream, even though this was a sheer polish three quick drying coats later and here it is in all its lustrous glory. 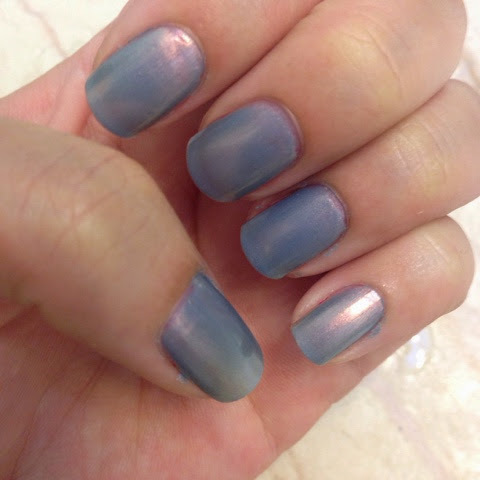 It's a very pale silvery blue with a mother of pearl sheen that throws soft shades of pink, gold and lilac. 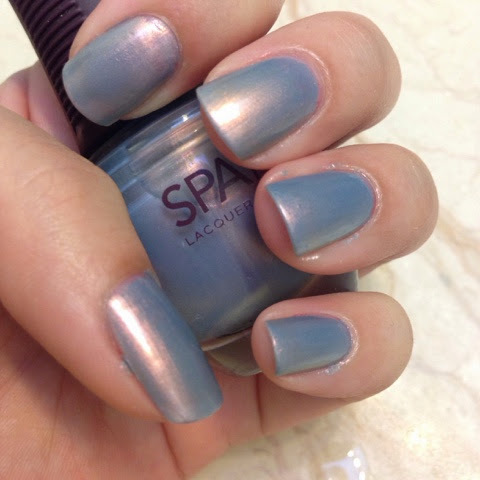 This color is so soft and beautiful it's the perfect muted shade in my opinion. Best of all this color will definitely not stain my nails! What a pretty color! Love how it picks up so many different shades!